What better gift is there than the islamic gift of du’aa/prayer? 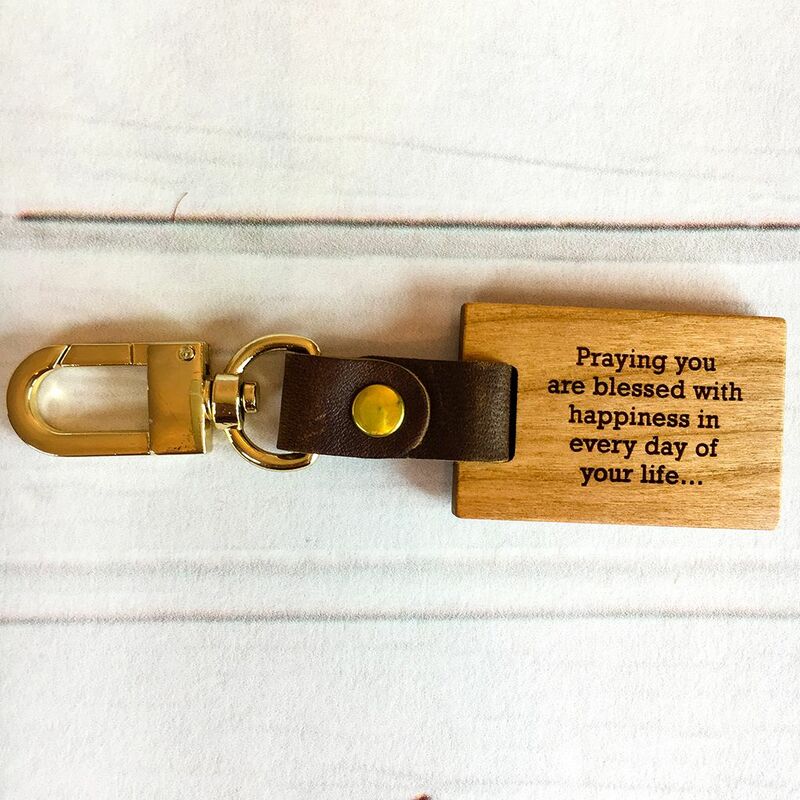 A keepsake premium keyring with a genuine prayer of happiness etched onto it, is sure to be cherished forever. 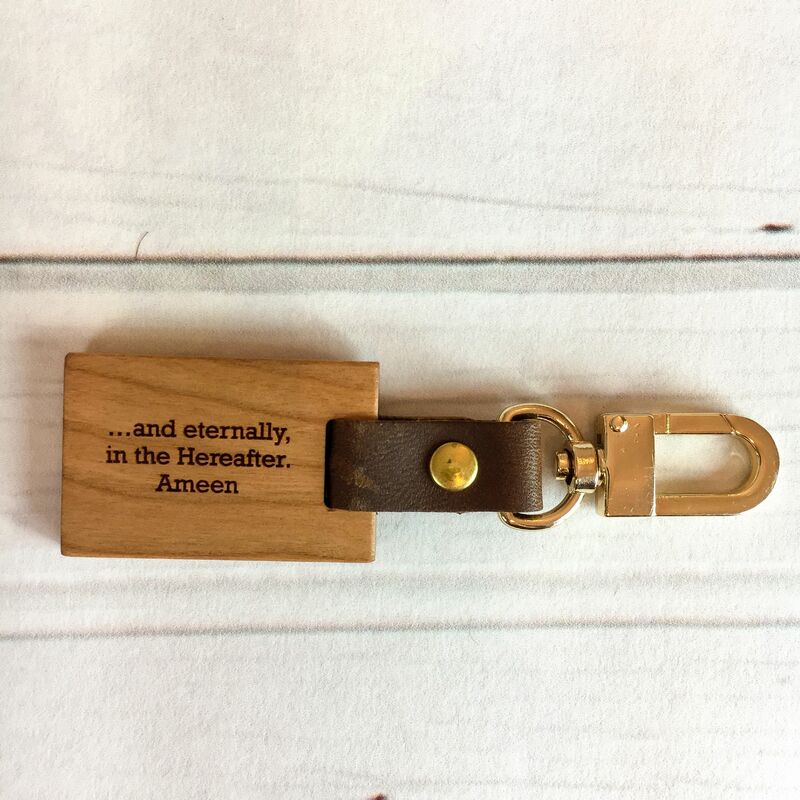 Each keyring is engraved with the du'aa: Side 1: 'Praying you are blessed with happiness in every day of your life...' Side 2: '...and eternally, in the Hereafter. Ameen'. Made: handmade in England using local cherry wood, British leather hide and brass. 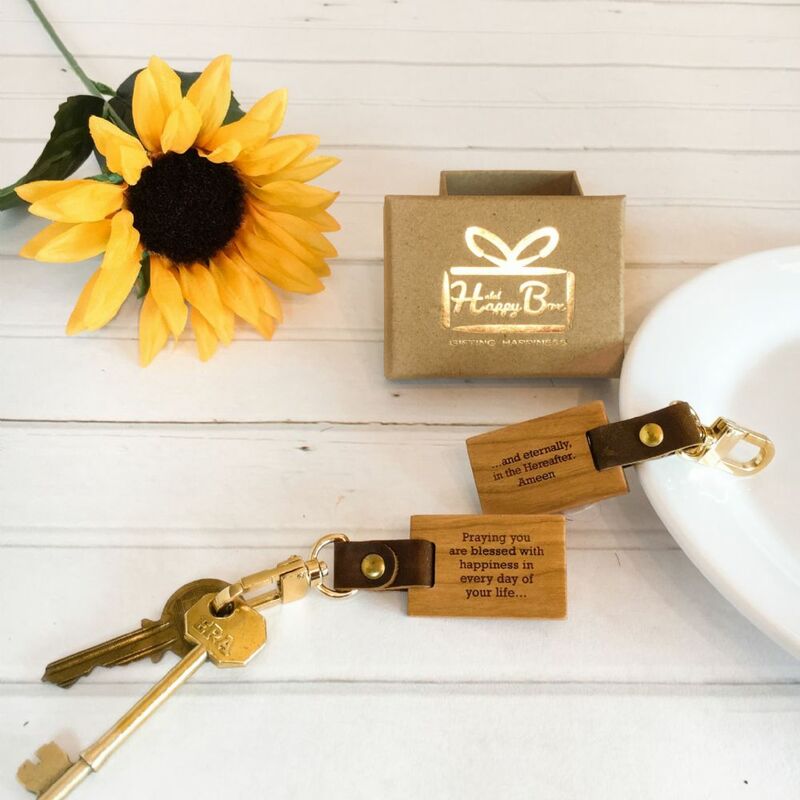 Gift Box: The Keyring comes in a luxury natural kraft gift box, branded with gold foil, which is wrapped in premium grosgrain ribbon. Dimensions: Each keyring measures approximately 4cm x 3.5cm x 0.6cm. Please note: As wood is a beautiful, natural product, the colour and grain does vary from tree to tree meaning the product will slightly vary from the pictures.